Since 1993, IEM has provided technical program integration services to the states and counties making up the Chemical Stockpile Emergency Preparedness Program (CSEPP), a $2.7 billion program jointly managed by FEMA and the U.S. Army. In 1999, FEMA selected IEM to be the onsite Program Management and Integration contractor. 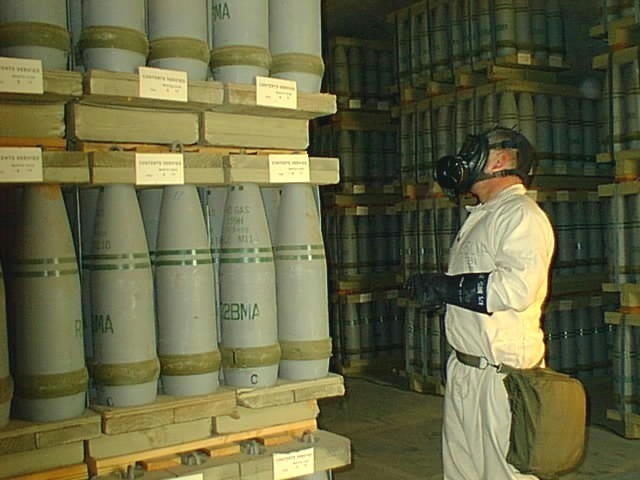 CSEPP is tasked by congressional mandate to ensure “maximum protection” for the communities surrounding U.S. chemical weapons stockpile sites. IEM worked with program managers to develop a flexible protection framework which breaks down the “maximum protection” mandate into specific and measurable benchmarks. These benchmarks have been adopted by emergency managers in 10 states, 40 counties, and 1 Tribal Nation. With IEM’s support, CSEPP utilizes a technical and scientific basis for federal decision making, consistent tools and methodologies for making resource allocation decisions, standardized training, and a performance-based exercise program. CSEPP is one of the most successful implementations of the ideas of simulation-based acquisition. Emergency Planning and Policy Development—IEM reviewed and helped revise the CSEPP Planning Guidance to make it NIMS-compliant. Risk Analysis for Protective Actions—IEM employed QEM™ quantitative methodology to complete risk assessment studies and compare protective actions. QEM modeling helped to smooth CSEPP’s transition to AEGLs, making it among the first programs to move to these more accurate toxicity values. Working Groups and Integrated Process Teams—IEM personnel support CSEPP working groups and IPTs in Planning, Protective Actions, Reentry and Recovery, Public Affairs, and Closeout. National Public Outreach Strategy—In addition to facilitating IPT meetings and supporting several IPT subcommittees, IEM personnel worked with the Public Affairs IPT to develop a national public outreach strategy. Annual Reports to Congress—Since 2000, IEM has helped prepare the FEMA CSEPP branch’s annual report to Congress. IEM also supports the development of high-level briefings and testimony for FEMA HQ. Automating the Cooperative Agreement Process—IEM supported the FY2000 CSEPP Cooperative Agreement (CA) Guidance and developed CA Tools. IEM recently rolled out the Enterprise version of CA Tools. Knowledge Sharing—IEM developed the CSEPP Portal and manages it, including Help Desk services. This promotes the sharing of knowledge among the CSEPP community.